While we may comprehend that holding onto resentments is like swallowing hot coals, it is not easy to let go of the storyline of our own wounds. Nor must we. The feminine way is to allow ourselves to feel what we feel, softening and yielding to the reality of the pain, breathing through it like a woman being ripped through by the contractions of labor, and allowing ourselves to birth ourselves anew (again and again). Each time we show up for what is true, our hearts expand and strengthen, increasing our capacity to forgive and be forgiven. What is true is often nuanced. We are all perpetrators of unconscious bias and we each get a turn transmuting the poison of victimhood into the medicine of reconciliation. I don’t really know what it is to be marginalized, but I am determined to stand with those on the margins. I have had small tastes of bigotry. Born into a Jewish family only a generation after the Holocaust, I was raised with the visceral reality of the danger of my membership in a particular ethnic minority. “It doesn’t matter whether I believe in God or not,” my mother used to say (she didn’t, f.y.i). “I would still go into the ovens.” The ovens. The gas chambers. This was the symbol in my generation of the insanity of a world where people die simply because they are Jewish or black or brown or gay. Later, as a hippie kid in the back-to-the-land movement, I felt the judgmental stares of the locals when my barefooted family would schlep our dirty clothes to the Laundromat. I would burn with shame perceiving the consternation on the faces of the retired doctors and their wives when we would visit our grandparents in their fancy Miami Beach high-rise. We didn’t look normal, prosperous, predictable. We didn’t belong. Still, I am increasingly aware that neither my Jewishness nor the fact that I am a woman qualifies me as oppressed. Not in the same way that people of color have been oppressed for millennia. I am a privileged white person craning my neck to see my shadow, striving to climb out of the waters of privilege to get some perspective on the fact that I am so immersed in this element I don’t even recognize how it sustains me. Recently, I had a painful awakening around white privilege. My friend Reverend angel Kyodo Williams and I decided to meet up at a social change gathering to see how we might be of service to the networking efforts of a hundred twenty young activists from the United States, Canada and Latin America. Rev. angel is a rising star in the arena of transformative change, applying perennial wisdom teachings and embodied practices to help awaken people’s hearts around issues of race, climate and economic justice. She is a fierce truth-teller, who grounds her prophetic voice in love. I have had the honor of sharing the stage with this visionary change-agent several times over the past few years and was looking forward to being together again in this setting, where we planned to share contemplative practices to help fill the cups of those on the front lines of justice. Ha. Look who thinks she can waltz in with her white privilege and dispense her spiritual goodies to the poor burnt-out activists. Within twenty-four hours, a couple of things became blazingly clear to me: a, I know very little about what it is to be marginalized; and b, no one there was particularly interested in anything I had to say and some of them were openly hostile. Why hostile, you might ask? 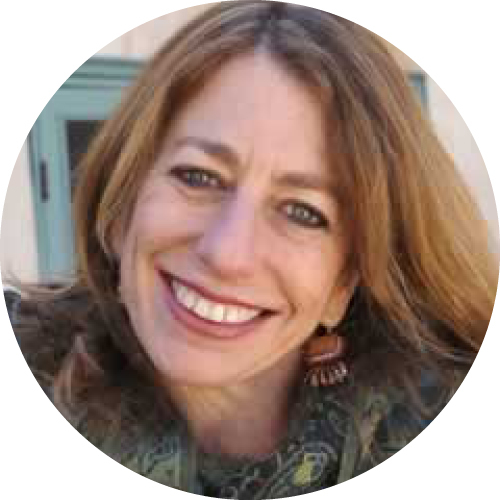 Mirabai Starr is a gentle being, a passionate proponent of the interconnected wisdom at the heart of all the world’s spiritual traditions, a person whose heart has been broken open by the pain of the world. Whatever. I am also a privileged white person who has borrowed the wisdom of multiple cultures without asking permission. Here’s how it went down. On the second morning of the gathering, as I was meandering my way to breakfast, I was confronted by a young man of South Indian descent. “Were you wearing an Indian blouse last night?” he demanded. “Um, yes.” I had led a small Shabbat gathering for anyone who was interested, which amounted to around five percent of the gathering, and those were mostly middle-aged white women like me. I had worn one of my favorite embroidered tops from the Hare Krishna temple store where I shop whenever I’m in Los Angeles. “No. No, I’m not, but I love India,” I sputtered. “I have an Indian guru.” (Oh, Mirabai, please). The man proceeded to berate me for my participation in the commodification of his culture. I have since discovered the term “White Spirituality.” This betokens the phenomenon in which white people, by virtue of our history of colonialization, blithely lift what we find most attractive (or potentially lucrative) about religions and cultures that are not our own, and then repackage them and sell them, benefitting from these stolen resources at the expense of those from whom we robbed the treasures. We have done this with the spirituality of Native American, First Nation and Aboriginal peoples. We have done this with Yoga. We have done it with crystal healing and Chinese medicine, reggae and rap music. I appeared to be the personification of this offense. I had the good sense not to defend or explain myself. “Thank you for pointing this out to me,” I said. “I’m learning a lot about cultural appropriation from you guys.” I thought my expression of humility might get me off the hook. The more we spoke, the angrier he became. I’m pretty sure I went away falsely promising never to wear Indian clothing again, which happens to comprise the majority of my wardrobe. Having recently received the results of a DNA test that indicates I am one hundred percent Ashkenazi Jew (boring), I wondered if I should start wearing a grey shmata and a babushka. Not five minutes later, still shaken but determined to use this painful lesson to wake up from my privileged dream of One Human Family, I greeted a middle-aged South American man in Spanish and asked him how he was doing. He whipped around to confront me. “What did you just say?” he asked in English. “Well, that’s very nice for you,” he sneered. “But we are in an English-speaking country and we should speak English here. Do you have any idea how hard the immigrant community must work to get by? You have the luxury of speaking Spanish because it makes you happy. We have to speak English to survive.” He made this valid point at full volume. Heads turned to see what was going on. I thanked him, apologized, and slunk away. These two encounters, in rapid-fire succession, plunged me into self-examination veering into self-doubt. I adopted biracial children, I wanted to tell everyone. They had been abused in their families of origin, forsaken by the child welfare system. One of them, my baby, did not make it. My eyes filled with tears at this thought. My stepdaughter married a mexicano of Aztec ancestry, I wanted to explain. My grandchildren are bilingual. They have Nahuatl names. I wanted them all to know that I was raised in the counter-culture, that I’m not a refugee from some white mainstream world who decided to take up Hinduism for a hobby, dabble in Sufism, and buy into the latest trends in Buddhist meditation. Where I come from, everyone is one of each. But I was determined to shut up and listen, aware that it is the turn of people of color to speak. Not only have my people – privileged white people – had the floor long enough, but also, by virtue of my visibility as an author and dharma teacher, I have had a big voice in this world and this was not the time to use it. In fact, at this gathering, I was mostly invisible, and when I was noticed I was the object of erroneous projection. This too, I realized, has been the experience of people of color for millennia: invisibility, unfair assumptions. Whining about it would only reinforce my “white fragility,” and carry with it the expectation that it is up to the marginalized people to tend my hurt feelings and educate me about what’s what. “This is the tax that you pay for your privilege,” my friend Rev. angel said to me later, not unkindly, when I told her about the experience I was having. “Let’s go,” she said. And she and her partner, Elena, took me kayaking, and then fed me coconut ice cream. On the last morning of the conference, an Indian woman approached me at the tea station. Uh-oh, I thought. I was wearing another Indian top because I was out of clean laundry and had nothing else to put on. As I was heading back to my room to pack, I crossed paths with a young Columbian woman who had organized a weaving project meant to connect all the participants in the gathering. Emboldened by my encounter with the Indian woman, I asked if I could speak to her in Spanish. I told her that I had been listening to the kindness with which she addressed the group and watching the way she treated people and that I wanted her to know how deeply I appreciated how she always called everyone back to the heart. It had been a fractious crowd and this young woman stayed grounded in love with every step. She beamed and asked if she could give me a hug, which I gratefully received. As I was walking through the woods, relieved to be heading home, I had a realization. These two women had been the antidotes to the violence of the two men a few days earlier. I had been so intent on waking myself up to the racial issue that I had overlooked the issue of sexism. The most painful encounters had been with men. One was telling me what to wear (or what not to wear) and the other was telling me what I could say and what I couldn’t (silencing me). This is complicated stuff, with multiple intersecting spaces, and we cannot expect strict coherence between spheres of the conversation. I left the gathering knowing that I know nothing. Which seemed like as good a place as any from which to further my education in becoming more fully human.